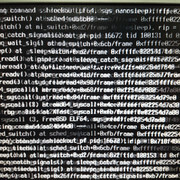 The Problem has been solved and the fix is implemented in 17.7.1.
which lead to the same crashing as before. 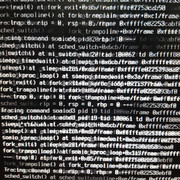 I now had a few crashes using 17.7 and pppoe connection. tried disable and enable hardware vlan tagging. Crash means, system is showing a few 1000 lines on screen scrolling for about a minute, possibly creating a crashlog and rebooting. again and again until i remove the network cable from the pppoe port. I already sent in some crash reports via the reporter in the webconfigurator. If i can help with anything more, please let me know. I confirm this error. It's the same than in https://forum.opnsense.org/index.php?topic=5650.0. Franco was trying to reproduce the problem. I haven't been able to reproduce, but I saw something in the logs that looks suspicious. How about this patch? After that, i reinstalled 17.7 freshly from usb. enable interface=>gets ip from dsl then instantly crashes. so for now i am going to use the 17.1. I will add some screenshots as soon as i can. 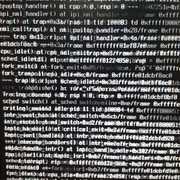 Tried to reproduce the problem on some hyper-v vm's, but cant. So the Problem must be something with the hardware. As the guy in the other post said, i also have a J1900 MoBo from asrock. Maybe this can be a hint for the problem. When booting from an USB-Stick with 17.7(VGA) and importing the configuration it boots up and crashes. The only thing i have seen in the changelog is some change in the realtek drivers. Maybe this is the Problem? disabling "Deep S5" in BIOS solves the Problem. 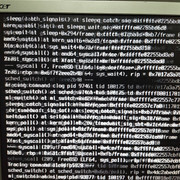 Dunno how as i dont understant what the RTC thingy has to do with my problem. Whatever. If i can helper further analyze the root of the problem i sure will help you. For now i am happy that it works. 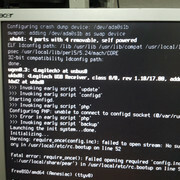 I will post here again when it ran about 24hr from the liveusb with importet config from 17.1. If this is running good, i will try to update the installed 17.1 to 17.7. The Realtek drivers didn't change from the 17.1.4 images till now. I think this is a dormant bug in the operating systems that we trigger with our modified interface configuration code. There is one patch that adds a new feature to PPPoE that could be a candidate, but that seems unlikely to be the problem. There is one issue in the boot screenshots you made where a file is missing, this is already due to corruption in the file system caused by a panic, which is essentially like pulling the power plug and the file system can't keep its consistent state. There are more ways to debug this, but it's really difficult to do this remotely. One can "unscript" the crash handling, so the console prompt will be able to execute commands, the "bt" command is usually the most helpful. 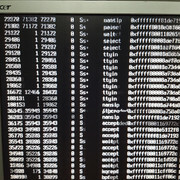 Type "bt" and hit enter at the crash dump prompt. We also have debug kernel support now to enrich the crash dump, which is supported when 17.7.1 is out (the updater needs a bit of extra code). This panic is not reproducible so far for us. We can always build test images to give "ready to use" system state to test patches or inspect the panic more closely, and we're evaluating patches that would have caused this. So far there is one likely candidate, but that didn't seem to help. The real question is how much time would you be willing to invest testing a couple of images that we prepare to pin down the issue to a component (kernel or interface configuration code)? 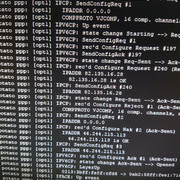 the Problem came back when i tried to rename the WAN Interface that is mapped to the pppoe. I really want to help you (and me...) to solve the problem. i have removed the usb bootstick and i am running the 17.1.11 now from installed hdd without any problem. If you can send me a step-by-step manual what i can do i can invest some hours into it for sure. I imagine for example you give me an usb-image to run and send you back the output(stored on installed ssd or something?) or screenshots. We could also start some skype call (german is my native language). I could play your remotehands, we just need to get a timeframe(weekdays after 19:00 GMT+1) or on weekend. Yay, also German... I'll prepare two USB images till Friday to try (VGA/amd64?) and send a PM for when we could have call if needed. You can count on me to test the images. I'm also using vga/x64 via usb and my mainboard is Asrock Q1900DC-ITX (http://www.asrock.com/mb/intel/q1900dc-itx/. I'll also try to test the Deep S5 solution as soon as I can. Sorry, my native language is not German... but Spanish. I find this peculiar... two Asrock Q1900 boards... Do you have the latest BIOS? But my Spanish is really rusty, lo siento. This image is based on multiple fixes for the upcoming 17.7.1. If it should panic, you can type "bt" and send a screenshot. 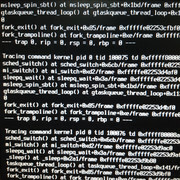 This second image is based on the same fixes, but with the last 17.1 kernel to verify that the kernel is indeed okay. If it should panic, you can type "bt" and send a screenshot. I have the latest BIOS for my motherboard, according to Asrock (1.60).